We drove via the small village of Le Bleymard along Hwy. 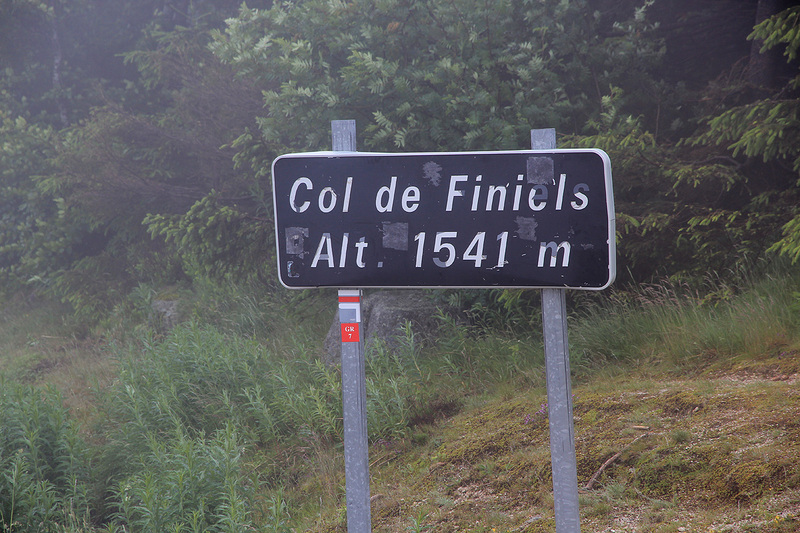 D-20 to the pass Col de Finiels. There is parking here on the left side of the road. Location N44:25.454, E003:46.086, elevation about 1547 meter. 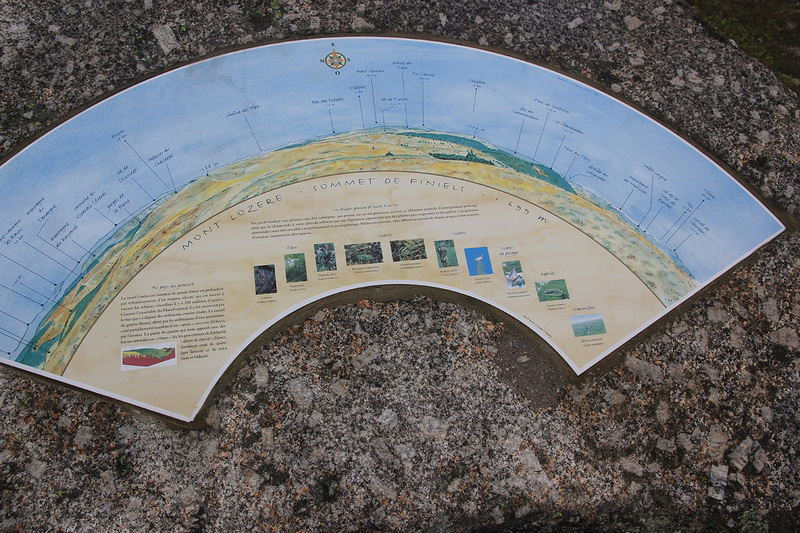 The possibly quickest route is as follows: Locate a small, but very clear trail that starts out on the right hand side of the information sign. 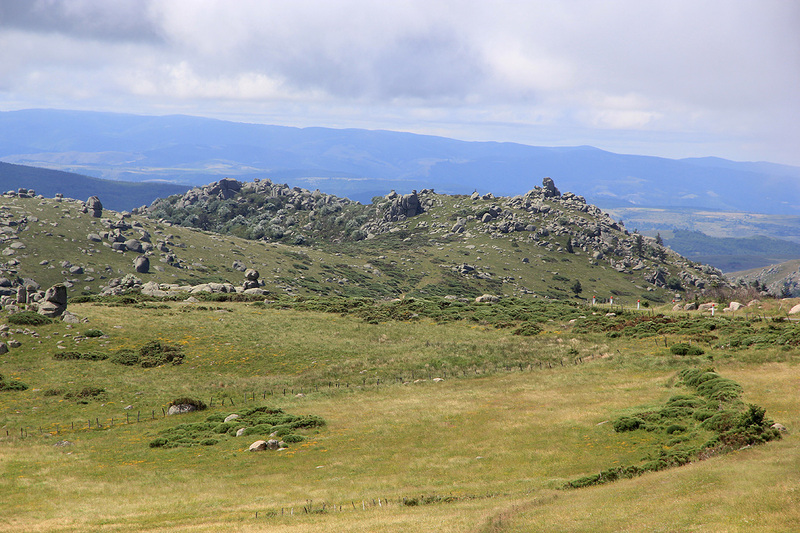 Follow this trail to the summit area (many boulders) of the first top (1688m). From there, head downslope while going somewhat more right than directly downhill. When you intersect a wide trail (big as a small forest road), then go right and follow this trail as it bends around left. The terrain here is very good for off-trail hiking and a more or less direct line is the easiest way to go. 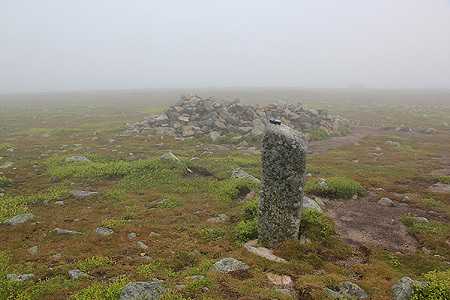 The main trail (broad as a forest road) runs horizontally on the left side of the summit plateau, a smaller trail forks right and will lead you to the summit. The summit area is extremely flat. We had driven from the very nice "castle hotel" in Moudeyres around 0915 and arrived at the trailhead around 1100. 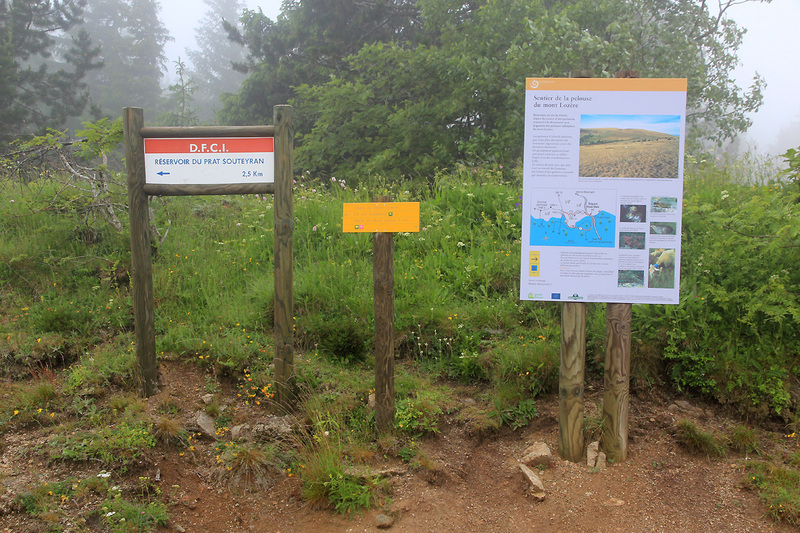 We left the car at 1110 and subsequently hiked to the first local mountain-top, where the trai vanished. My GPS said that it was only one kilometer to go, so I decided on the "straight line" approach. It was misty fog and the slope was downhill, but I guessed that it would not last long. The terrain was very easy to walk. Soon, I intersected the forest road, continued to the bottom and then ascended gently where I intersected (the same) forest road again. This time, it pointed in a good direction. I followed it, then branched right on a smaller trail directly to the summit. 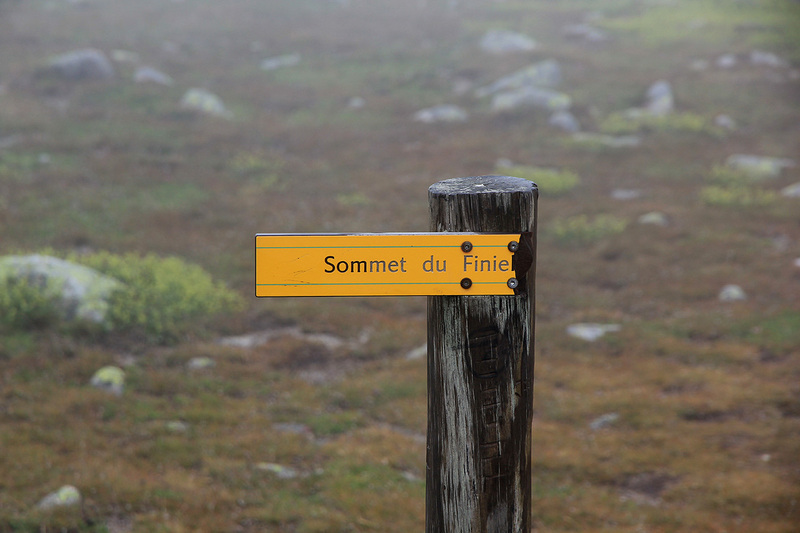 The summit is marked with a pole and a broken sign reading "Sommet Finiels". There is a heap of rocks and 4 viewfinders, these are located some distance out in 4 different directions. I spent about 10 minutes, the fog was still obscuring any view. Returning more or less along the same route, I was back at the car by 1200. The hike had taken about 20 minutes each way.